Just days after Fleetwood Mac replaced the Rolling Stones at the New Orleans Jazz & Heritage Festival, illness has sidelined singer Stevie Nicks, forcing the band to cancel the gig. Last week, the Stones canceled their appearance due to Mick Jagger’s heart valve replacement surgery. Fleetwood Mac agreed to fill the May 2 performance slot at the festival, which takes place Apr. 26-May 5. However, Nicks fell ill.
“The flu has sidelined Stevie for a couple of weeks but she is on the mend and we look forward to getting back out on the road. We so apologize to the fans, but we are working on rescheduling,” Mick Fleetwood said in a statement. In response, Jazz Fest organizers announced on April 8 that Widespread Panic will perform on May 2. The Athens, Ga., jam band is a Jazz Fest staple, having played the festival many times since 1999. Jazz Fest announced ticket changes in light of the news as well. 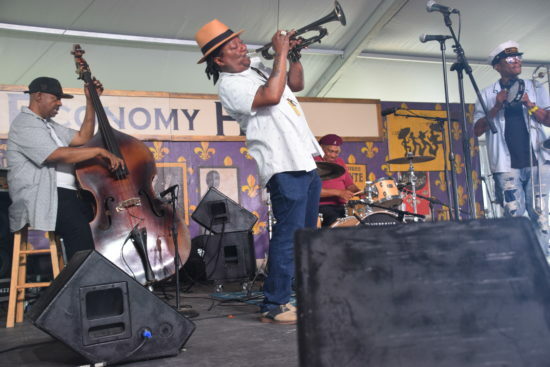 Ticket holders for May 2 will receive a notice from Ticketmaster that they can exercise their option to use their tickets on any day of the second weekend of Jazz Fest or to receive a full refund. Also, admission for May 2 at Jazz Fest will no longer be day-specific. Second weekend general admission tickets will now be valid for any one day of the weekend, including May 2. For both Thursdays, tickets will be only $50 at the gate for Louisiana residents who present valid identification, up to two admissions per resident. Children’s tickets (ages 2 – 10) are only $5 and will now be available on every Festival day (at the gate only). Tickets are available at www.nojazzfest.com and www.ticketmaster.com. Those in New Orleans can purchase tickets in person at the Smoothie King Center Box Office. All general-admission Jazz Fest tickets are subject to additional service fees and handling charges.